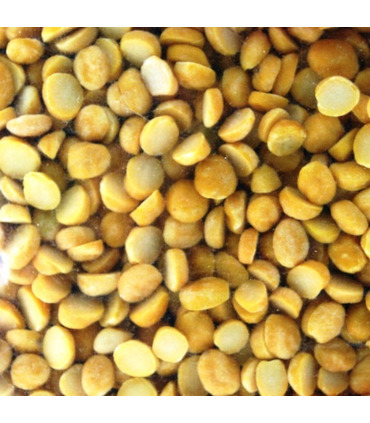 Chana dal, also known as split Bengal Gram, is produced by removing the outer layer of Kala Chana (black chickpeas) and then splitting the kernel. It is slightly larger in size than most other legumes, yellow in colour and has a delicious, mildly sweet and earthy flavour. It is eaten with roti or rice and sabji. Uses - Like all the other dals, it can be boiled and then fried with cumin/ mustard seeds, asafetida, garlic, ginger, onions and tomatoes. - When roasted, it can be used in the form of snacks and is still very nutritious. - It can also be powdered to make besan or chickpeas flour, which is used in variety of dishes. - Chana Dal can also be soaked overnight and later added to the vegetables while they are being cooked to give them a new flavor. - In Bengal, it is prepared slightly sweet, with coconut pieces. Tip: Chana Dal takes longer to cook as compared to other dals and can be soaked in water for a couple of hours before cooking. Health Benefits - Its fibre content is high and it is believed to be helpful in lowering the cholesterol. - It is considered beneficial for people with diabetes. - It contains vital minerals like zinc and calcium. - It is a good source of protein and is low in fat. Storage: Store the dal in an airtight container, in a cool, dry place. Recipe 1. Soak the chana dal in enough water for an hour. Drain the water and boil the dal in a pressure cooker. 2. In a pan, heat 2 tbsp. ghee and add 1-2 cinnamon stick, black cardamom, bay leaf. 3. Add 1 chopped onion and fry till golden brown. Then add 1 tsp ginger and 1-2 garlic cloves (after crushing) once the onions are golden brown. 4. Add turmeric powder and green chillies followed by chopped tomatoes. Garam masala and other spices (as per preference) can be included at this point. 5. Stir in two tbsp. of yoghurt. Add the mixture to the cooked dal and bring it to boil. Garnish with cream, coriander leaves and generous amounts of butter. 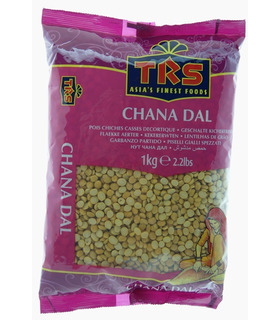 Chana dal, also known as split Bengal Gram, is produced by removing the outer layer of Kala Chana (black chickpeas) and then splitting the kernel. It is slightly larger in size than most other legumes, yellow in colour and has a delicious, mildly sweet and earthy flavour. It is eaten with roti or rice and sabji. - Like all the other dals, it can be boiled and then fried with cumin/ mustard seeds, asafetida, garlic, ginger, onions and tomatoes. - When roasted, it can be used in the form of snacks and is still very nutritious. 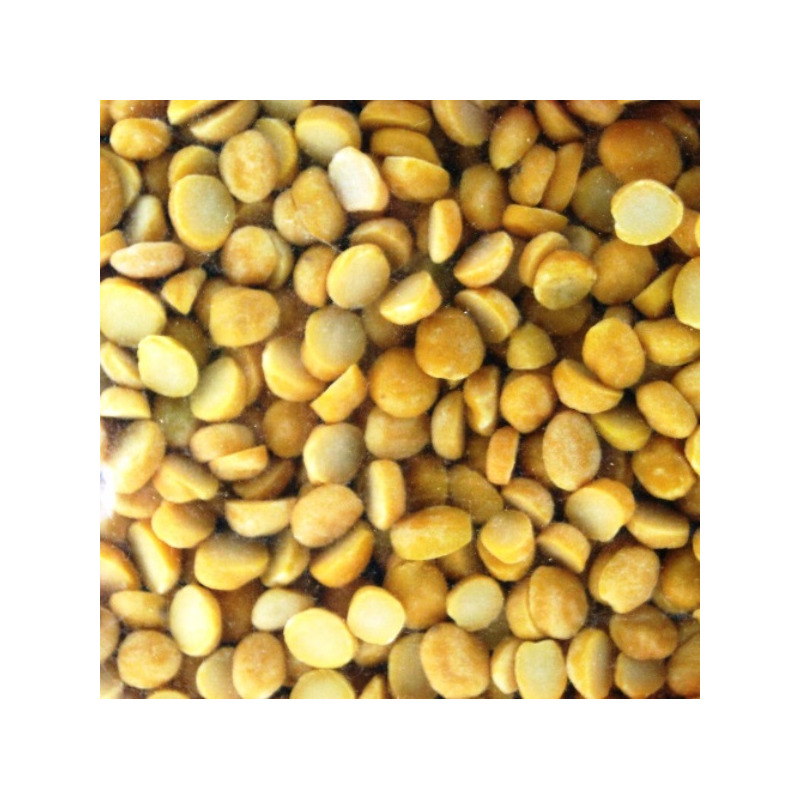 - It can also be powdered to make besan or chickpeas flour, which is used in variety of dishes. 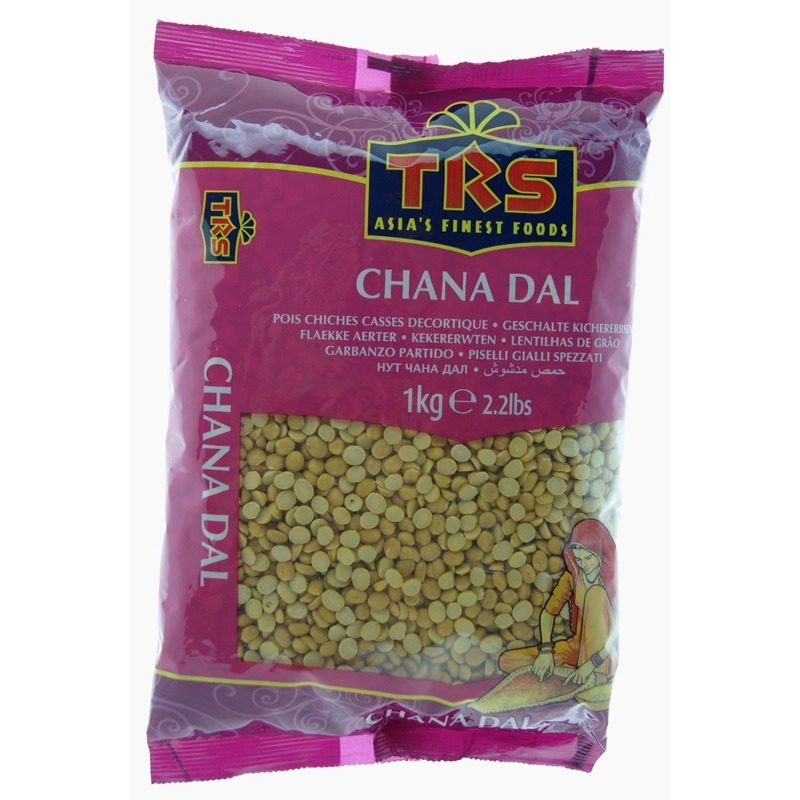 - Chana Dal can also be soaked overnight and later added to the vegetables while they are being cooked to give them a new flavor. - In Bengal, it is prepared slightly sweet, with coconut pieces. 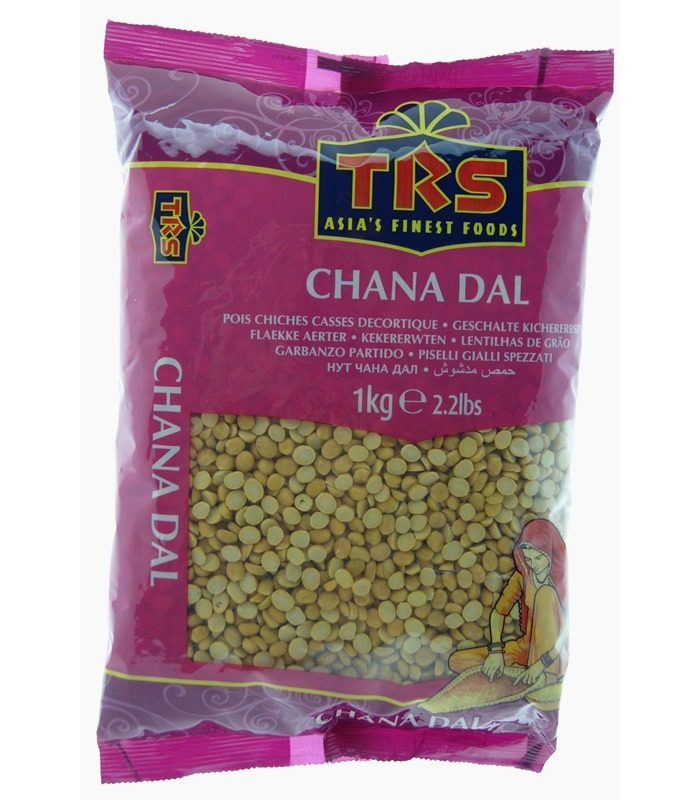 Tip: Chana Dal takes longer to cook as compared to other dals and can be soaked in water for a couple of hours before cooking. - Its fibre content is high and it is believed to be helpful in lowering the cholesterol. - It is considered beneficial for people with diabetes. - It contains vital minerals like zinc and calcium. - It is a good source of protein and is low in fat. 1. Soak the chana dal in enough water for an hour. Drain the water and boil the dal in a pressure cooker. 2. In a pan, heat 2 tbsp. ghee and add 1-2 cinnamon stick, black cardamom, bay leaf. 3. Add 1 chopped onion and fry till golden brown. Then add 1 tsp ginger and 1-2 garlic cloves (after crushing) once the onions are golden brown. 4. Add turmeric powder and green chillies followed by chopped tomatoes. Garam masala and other spices (as per preference) can be included at this point. 5. Stir in two tbsp. of yoghurt. Add the mixture to the cooked dal and bring it to boil. Garnish with cream, coriander leaves and generous amounts of butter.